nice work! mix 2 + mix 3 for me please! All tracks are fantastic but Mix 3 resonates the most with me, personally. I´m very happy Uturn is back!! Massive! Just what I needed. Glad to see uturn back in business. I´m a fan since back in the day. Shes back and sounds like shes not playin either! this is so exciting! 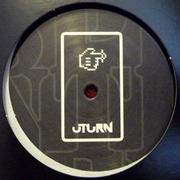 u-turn is one of my favorite labels ever! love the whole release! will probably play the original and mix 3, great thanks! Top quality "psycho" minimalistic techno, love it!! Will find time to play all three I´m sure. I would love a link to the wav files. Really Dope club tracks. Will play for sure! Cant wait to play this and hear it out. Could I get the WAVs to play? Can you send me the Mp3´s please? 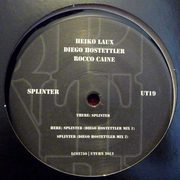 Really like splinter original, but Diego mix 2 might be the one for me!! Really nice to see Uturn back up!!! Thanks for this new release, original / mix 2 are absolutely for me! Get the record on wav would be fantastic. Great stuff guys! Diego´s Mix 2 is my fav, full support! Mix 2 mein fave hier, sehr schön! Original and Remix 2 are amazing. please send me the tracks. Need to play them!!! All tracks celebrating the original Kanzleramt Sound with massive creative update dedicated to the electronic jam. Congrats to the new release on Uturn. What can i say. You know im a big Fan. Original it´s madness, absolutely fat!! !, love the Diego´s Mix 2 as well, huge release. Great ep..great combo of artists! Will for sure play it out!